Florida lawmakers are looking for ways to reduce drowning risks in the Sunshine State. Florida leads the nation for drownings of children under the age of 5. Now, ABC7 News reports some lawmakers want to increase safety requirements under Florida’s Residential Swimming Pool Safety Act. Our Fort Myers injury lawyers support any measure that reduces the risk of these senseless tragedies. FOX 13 News in Tampa reports the bill is being backed by lawmakers and the mother of a 2-year-old who drowned in a friend’s backyard pool in September 2017. The mother said her child exited the house through a sliding door and was able to get past a defective pool fence. Owners and managers of swimming pools – whether public or private – owe a duty of care to those using the facilities. They are obligated to keep the premises reasonably safe for guests and, in some cases, even anticipated trespassers. Pools are considered “attractive nuisances,” meaning it’s known children will be drawn to them, and thus access has to be adequately restricted. It also means property owners need to make sure the pool structure, gates, barriers, drains and other elements meet state safety requirements. Residential swimming pool safety laws are spelled out in F.S. 515, while public swimming pool standards are found in F.S. 514. 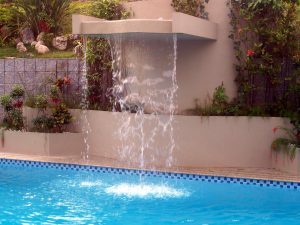 Many community associations in South Florida attract owners and renters with the use of a shared pool. However, those who pursue litigation against homeowners in these communities due to injuries or deaths arising from pool use could find it difficult to collect compensation from the association’s insurer unless a strong case is presented indicating individual ownership interest, per a recent Florida appellate court ruling. This does not mean the wronged parties aren’t entitled to damages. Consulting with an experienced swimming pool accident lawyer will be critical to protecting your rights. In the recent case of Southern Owners Insurance Co. v. Cooperativa De Seguros Multiples, etc., et al., Florida’s Fifth District Court of Appeal reversed an earlier judgment holding an insurer responsible to extend coverage in a wrongful death lawsuit against an individual community association homeowner. We’re kicking off the summer season with the Memorial Day weekend, and with that we unfortunately welcome an increased risk for swimming pool accidents. And here in the state of Florida, that’s a big deal. Across the nation, there are about 10 people who are killed in unintentional drowning accidents every day, according to the Centers for Disease Control and Prevention (CDC). Of these, two are children under the age of 15. As a matter of fact, drowning ranks as the fifth leading cause of death in the U.S.
Our Cape Coral swimming pool accident lawyers understand that it’s our young ones that need the most attention when playing in or near the swimming pool. In just a few seconds, a fun day at the pool can turn into a deadly day we wish we could erase. That’s why it’s important that parents and guardians keep an eye on children when swimming at all times. There’s no substitute for ADULT supervision. Always be near and always be watching. Just simply occupying the area isn’t good enough. Don’t allow anything to distract you while you’re supervising. Make sure you keep toys and rafts away from the pool when it’s not being used. You don’t want to lure your kids near an unsupervised pool. It’s also important that you keep cleansers, chemicals and accessories safely secure in an area away from the pool. Have sunscreen and always use it. Use the strongest one available just to be safe. When the sun goes away and the clouds come out, make sure you exit the pool at the first sign of a thunderstorm. Never consume alcohol or drugs while using a pool or spa. Even if you’re standing outside of the pool and merely supervising, these items are not for you. Get certified in cardiopulmonary resuscitation (CPR). This will help to keep your victims alive until emergency responders can arrive should an accident happen. You also want to always make sure that there is a phone nearby should you need to make this emergency phone call. Every second counts. 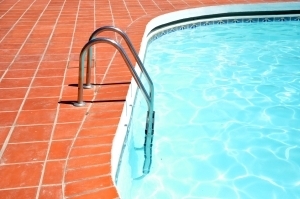 Check to see if your pool has the proper emergency and safety equipment. There should be ropes placed between the shallow and deep end to alert swimmers. You should also have a shepherd’s hook, in case you’ve got to pull a troubled swimmer to safety. Consider enrolling everyone in your family in a safety swimming course. You can never know how to swim too well. If there’s diving at your pool, make sure that your swimmers know how to safely dive, and never dive into shallow waters or an above-ground pool. By thinking about SAFETY all the time, YOU are being a RESPONSIBLE pool owner and user! A lot of us will be jumping into a swimming pool over the next few months, but not many of us will be thinking about our risks for drowning. It’s important to point out that nine people are killed every day in the U.S. in drowning accidents. These numbers are alarming — especially for families with young children. Our Cape Coral swimming pool accident lawyers understand that for each person who dies in a drowning accident, there are up to 4 people who are injured in submersion accidents serious enough to land them in the hospital. Parents and guardians need to listen up because drowning is one of the top causes of unintentional fatalities among children under the age of 4. If you’ve got a young boy in your household, we’re talking to you. Males have have a drowning rate twice as high as females. What are the most common factors in these kinds of accidents? The inability to swim is a factor that affects a lot of our young ones. It’s wise to enroll your child in swimming lessons at a young age — especially because we’re living in Florida where swimming pools are so prevalent. The lack of barriers can also contribute to the risks. If you have children in your home and you have a swimming pool, you should make sure that the pool is fenced. 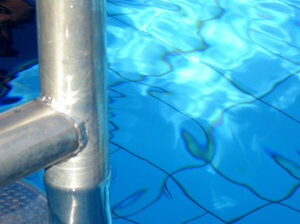 These fences have been proven to reduce the risks of drowning accidents by close to 85 percent. The lack of supervision can increase your child’ risks, too. Real supervision. Just being in the same area as your children is not good enough. You have to physically watch them at all times. Lastly, your location has a lot to do with you and your child’s risks. Children between the ages of 1 and 4 are most likely to drown in a swimming pool at home. The percentage of drownings in natural waters, like canals, rivers, oceans and lakes, increases with age. So what do we do to help to reverse those risks? -Get your children in a swimming class. Formal lessors can help to significantly reduce anyone’s risk for a drowning accident. -Learn cardiopulmonary resuscitation. This can help to save the life of a victim. You can help to keep them alive until paramedics arrive on scene. -Keep an eye on children. You need to watch them at all times, not just be in the general area. It only takes a matter of seconds for things to turn fatal. -Never drink and swim. Parents should not consume alcohol and supervise either. If you’re anywhere near a pool, you want to stay sober. -Make sure that your home pool is guarded. Line it with fences to keep children out. Make sure the doors of those fences are equipped with child locks. Keep your pool deck clear of toys. You don’t want anything to lure your child close to the water. Store toys in a safe and secure place away from the open water. Recently, there was a span of five days in which 5 young children drowned or nearly drowned in swimming pools in Tampa. Some of the accidents happened when parents were present on the pool deck while others happened while parents were inside or otherwise took their eyes off of their children. Regardless of how these tragedies occur, it only takes a few minutes for a child to drown in a swimming pool or hot tub or even in a backyard canal. According to Tampa Bay Online, this string of accidents has the full attention of pool safety advocates. “This just breaks my heart,” said Jenna DeVito-Roisum, president of Mason’s Gift, which is a nonprofit organization that is focused on helping to prevent child drowning deaths. Our Cape Coral swimming pool accident attorneys understand that these accidents often involve a lack of supervision or a lack of proper safety equipment, including gate latches and pool alarms. These accidents are so common in the state of Florida because we’ve got such beautiful weather year round. During the summer season, more people are on vacation, more people are hosting graduation parties and residents are celebrating with many other outdoor, poolside activities. Whatever the reason may be, there’s no getting around the fact that drowning fatalities in swimming pools increase significantly during the summer months. From January to October of 2011, there were nearly 60 children in the state of Florida who died in swimming pools. This serves as the highest number across the country, according to the U.S. Consumer Product Safety Commission. Texas had about 40 fatalities during the same time. California had 39, followed by Arizona with 33. -Always supervise children. There is no substitution! -Don’t let anyone distract you while children are in the pool. -Don’t leave toys near the pool that might attract children. -Make sure that you store all chemicals, cleansers and accessories safely and securely in appropriate areas. -Always use sunscreen. Use the strongest during the summertime. -Serve food and beverages in non-breakable containers. -Never swim or play near the pool when consuming alcohol or any type of drugs. -Learn CPS. These skills can save lives in the event of an emergency. -Keep a phone nearby in the event of an accident. -Be sure to keep rescue equipment nearby. 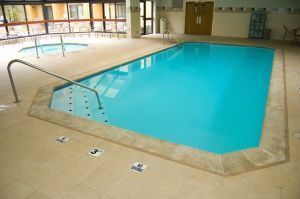 -Consider using ropes or float lines across the pool show swimmers where the shallow end of the pool stops. -Keep a list of emergency contact numbers near the phone by the pool. -Make sure everyone knows how to swim. 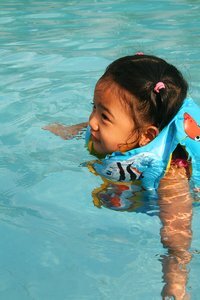 Enroll young children in swimming lessons. -Exit the pool and go inside at the first sign of a thunderstorm. -Never run near a pool. -Avoid diving into water, regardless of if you know how deep it is. -Never stand or play on a pool cover. -Never play with drains of any kind. Kids are out of school for their summer break and more and more of them are suiting up and jumping in to the nearest swimming pool. The summer season brings the highest risks for swimming pool accidents in Fort Myers and elsewhere — especially among young children. According to PoolSafety.gov, drownings are the number one cause of death for kids aged 1- to 4-years-old. 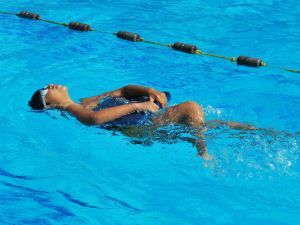 From 2007 to 2009, there was an average of about 390 kids under the age of 15-years-old who died in a drowning-related accident in the U.S. each year. Our Fort Myers child injury attorneys are asking parents to keep a close eye on our young ones during the summer break and especially near the swimming pool. Parents may be the biggest lifesaver in keeping kids safe around pools. Please keep an eye on children under the age of 15, but especially on those under the age of 6. About 75 percent of drowning deaths involve a child who is under the age of 6. Nearly 70 percent of those victims are children between the ages of 1- and 3-years-old. Florida is the most dangerous state for these kinds of accidents, too. From January to October of 2011, there were nearly 50 drowning-related fatalities involving children under the age of 15. Trailing behind us was the state of Texas with approximately 40 fatalities and then California with 39 fatalities. In addition to the precious lives that are taken by drowning accidents every year, another 5,200 young ones are sent to emergency rooms across the country. Parents are asked to step in, to keep a close eye on our young ones and to help to prevent these accidents. -More than 65 percent of these victims are between the ages of 1- and 3-years-old. -More than 15 percent of these victims are ages 5- through 9-years-old. -More than 10 percent are 4-years-old. -Less than 5 percent are 10- to 14-years-old. -About 2 percent are 1-years-old or younger. Did you know that these kinds of accidents are most likely to happen at home, too? Nearly 45-percent of drowning accidents occur in a homeowner’s pool. Another 25 percent happen at a friend or a family member’s pool and another 20 percent at a public or community pool. Parents might want to keep a close eye on their young boys, too. Boys account for about 60 percent of these accident victims while girls account for 40 percent. As Floridians enjoy the spring weather, The U.S. Consumer Product Safety Commission (CPSC) has been conducting investigations into the safety of pool and spa drain covers. As the investigation carries on, testing protocols used by some laboratories have been deemed improper, resulting in noncompliance with the Virginia Graeme Baker Pool and Spa Safety Act (P&SSAct). 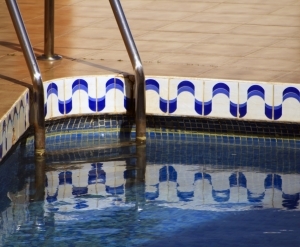 Defective pool and drain covers heighten the risk for a Naples swimming pool accident. Our Fort Myers personal injury lawyers understand the risks posed by defective drain covers — which can lead to entrapment injuries and drowning. These investigations have provided the CPSC with more than 17,000 pages from the laboratories in response to subpoenas from the federal agency. 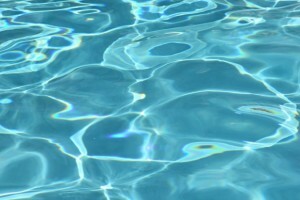 Many homeowners are uncovering and servicing their pools for the summer season. In Florida, pools are much more likely to be used year around. But that can mean there is no set time for safety and maintenance inspections. 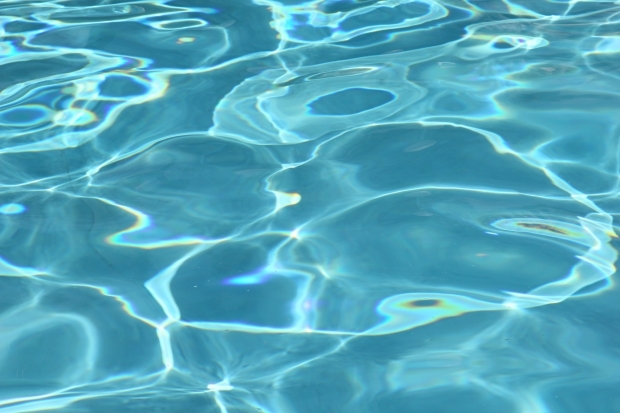 We suggest a thorough inspection be conducted at the start of the spring and summer swimming season, as well as around the Fourth of July and Labor Day. The Virginia Graeme Baker Pool & Spa Safety Act (P&SS Act), which regulates the safety of our pools, was passed after a young girl drowned from being trapped under the water by the suction from a hot tub drain. The suction proved to be too powerful, despite the fact that she had been swimming since she was 3 years old. The failing marks returned to the CPSC raise red flags to Southwest Floridians as the Memorial Day weekend approaches. Anytime is a good time in Florida to have your pool and pool equipment thoroughly inspected. It’s encouraged that you have it checked thoroughly, and have it checked often. National drowning statistics show that swimming pools can be fatal to anyone if the proper precautions are not taken to reduce the risk of preventable safety hazards. A national study determined approximately 10 people drowned on any given day each summer. Approximately 5,000 children under the age of 14 of hospitalized each year with 15 percent of them dying and 20 percent suffering severe and permanent brain damage. Drowning is the second-leading cause of injury-related deaths for children under the age of 14. According to the Florida County Property Appraisers, Florida has the highest number of deaths resulting from swimming pool drownings in children under the age of 5. These fatalities often occur in cases where a pool lacked the proper safety features. As Florida is home to more than 1,000,000 residential pools, residents are urged to practice all safety precautions, conduct regular inspections and make sure your pool meet safety standards. A series of drowning or near-drowning incidents involving children remind us that swimming safety is an important topic for discussion. Each of us need to do our part to avoid swimming pool accidents in Fort Myers, Naples and throughout South Florida. On Sunday, the News-Press reported that a 2-year-old boy drowned in a pond in South Fort Myers. The child apparently slipped out of his house and wandered into the pond about 30 yards away. Last week, a 15-year-old boy drowned while swimming near the Sanibel Causeway, according to The News-Press.